--George W. Bush (Will Ferrell) and Al Gore (Darrell Hammond), sum up their candidacy in a single word. Sunday, Oct. 2, 1:00 to 3:00 pm, Chilmark. An educational walk to discover the world of mushrooms at TTOR's Menemsha Hills Reservation, led by Wesley Price, founder of the Cape Cod Mycological Society. $15 ($10 for Trustees members, $5 for children), for more info call (508) 693-7662, see website, or email. Saturday, Oct. 8, 9:30 to 11:00 am, Katama. 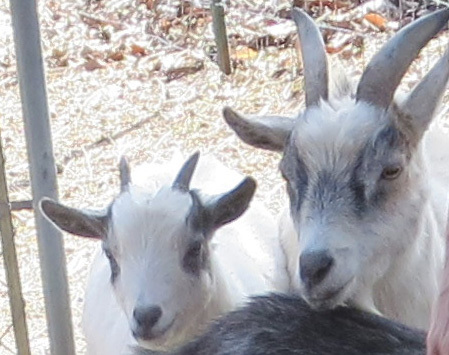 Visit animal friends and help with the fall harvest at the FARM Institute's long-running off-season program for ages 2-5. $15 per session ($9 for Trustees members), must be accompanied by adult. For more info see website or call (508) 627-7007. Sunday, Oct. 9, 10:00 am to 3:00 pm, Chilmark. A fun and free gathering at Native Earth Teaching Farm (North Road, near Tea Lane) to celebrate the end of the season. Local food, games, and fiber activities for humans of all ages, abundant popcorn for everyone else, especially the ducks and pygmy goats. More at website. Thursday, Oct. 13, 4:00 to 7:45 pm, Oak Bluffs. Celebrate National Fossil Day and explore the world of marine and paleobiological research. Presenters will be displaying fossil finds and be available for discussion. Bring your own fossils if you have them! Free, all ages. At the O.B. Library, call (508) 693-9433 for more info. Presenters include paleobiologist Fred Hotchkiss, Ann DuCharme of the MV Museum, Meg Tivey and Ann McNichol from WHOI, prehistorian and artist Duncan Caldwell, zoologists Scott Smyers and Kyle Cormier, divers Heidi Raihofer and Joe Leonardo, artist and swimming instructor Michael Wooley, archaeologist Bill Moody, marine ecologist Wendy Culbert, students Jacob and Sam Gurney, and others. Fresh-picked produce from local farms, flowers, delicious baked goods and prepared foods from Island kitchens and more. Outside of the Grange Hall in West Tisbury. For more info, see website. Saturdays, 9:00 to 11:30 am, MV Reg. High School. Visit birding hot spots with your guide Robert Culbert. Carpool will depart from the high school faculty parking lot at 9:00. Cost is $30 per adult, $15 for under 18. For more details, call (508) 693-4908 or email. 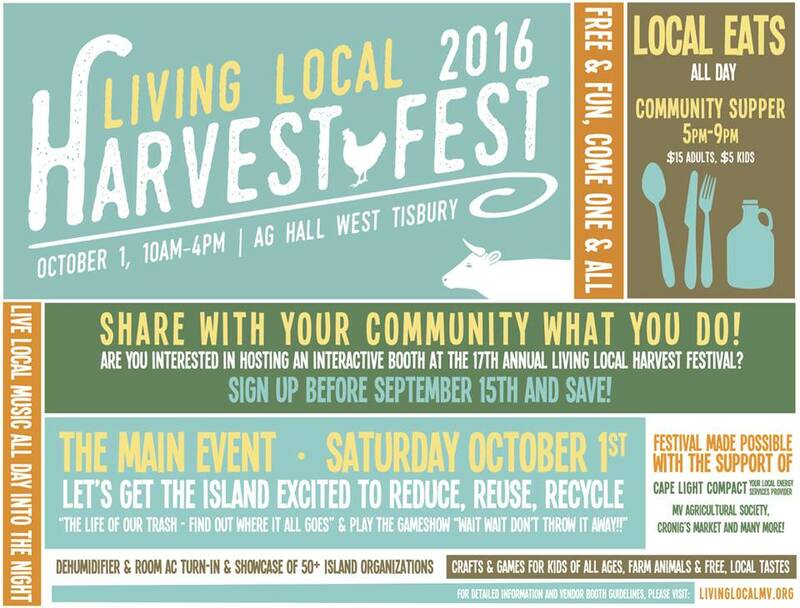 Join VCS this Saturday for the Living Local Harvest Festival, an annual celebration of sustainable living and Island community spirit! In support of this year’s festival theme of “Reduce—Reuse—Recycle,” and in anticipation of this winter’s implementation of the new plastic bag reduction bylaw, the VCS table will feature activities and information on how we can reduce our Island’s reliance on these disposable shopping bags. As always, the festival’s main event (Oct. 1st, 10 am - 4 pm) brings together great local food, music, animals, games and activities for kids of all ages. Educational presentations and demos this year include local recycling and “The Life of Trash,” renewable energy, and a composting workshop roundtable hosted by Heather Goldstone of WCAI and featuring 6 local experts. In addition, Cape Light Compact will offer an opportunity to turn in old dehumidifiers and room air conditioners (including a rebate of $30 for dehumidifiers!). All of that is preceded by Friday’s opening story night from 6 to 8 pm, and followed by a community supper Saturday night from 5 to 9 pm. The festival is free, but the supper is $15 per person ($5 for children), see website for more details. 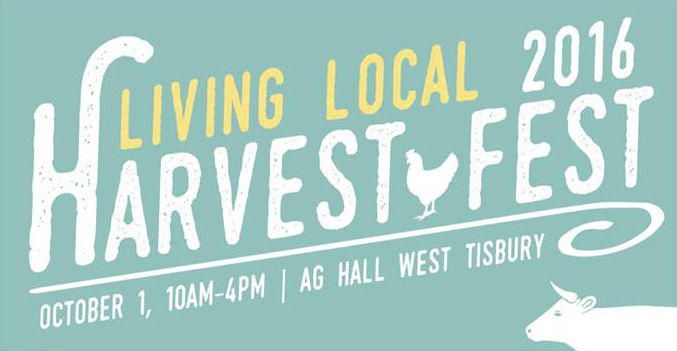 The annual Living Local Harvest Festival was founded by four Island organizations — VCS, the MV Agricultural Society, Vineyard Energy Project, and Island Grown Initiative — to promote sustainable living on our island by encouraging local food production and the local economy, renewable energy, and resource conservation. VCS has long supported the increased use of solar energy as an important part of the transition to cleaner and carbon-free energy. Today, as the efficiency and cost of photovoltaic solar panels reach new highs and lows, respectively, solar power represents a better value than ever – both for the environment and the economy. 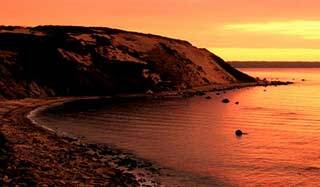 That’s why our first impression of the plan by the Oak Bluffs Water District to build a solar farm on land under their jurisdiction was positive. The proposed 1.46 MW solar array (much larger than what a homeowner or business might put on their roof, but on the small side for a public utility) would provide carbon-free electricity for the Water District and bring in revenue, to the potential benefit of the Town’s ratepayers. The problem with the project, and the reason that VCS must oppose it despite our general support of solar energy, is the proposed location, which would require the clear-cutting of over 10 acres of ancient woodland sitting atop the recharge area for the Town’s public water supply. Unlike the majority of forest land on the Vineyard, our ancient woodlands were never completely cleared, providing a rare bit of ecologically intact habitat that predates European settlement. (Read more about the ecology, history, and importance of these forests in the letter submitted to the MV Commission by Harvard Forest Director David Foster.) As Dr. Foster, as well as our own supporting letter, argue, the clearing of healthy, ecologically productive forest in the name of reducing carbon emissions is counterproductive. "DOER strongly discourages locations that result in significant loss of land and natural resources, including farm and forest land, and encourages rooftop siting, as well as locations in industrial and commercial districts, or on vacant, disturbed land. Significant tree cutting is problematic because of the important water management, cooling, and climate benefits trees provide." “Strongly discourage” to the tune of a reduced, but still substantial, financial incentive!